Koning Willem II Stadion is a multi-purpose stadium located in the landlocked municipality and city of Tilburg. 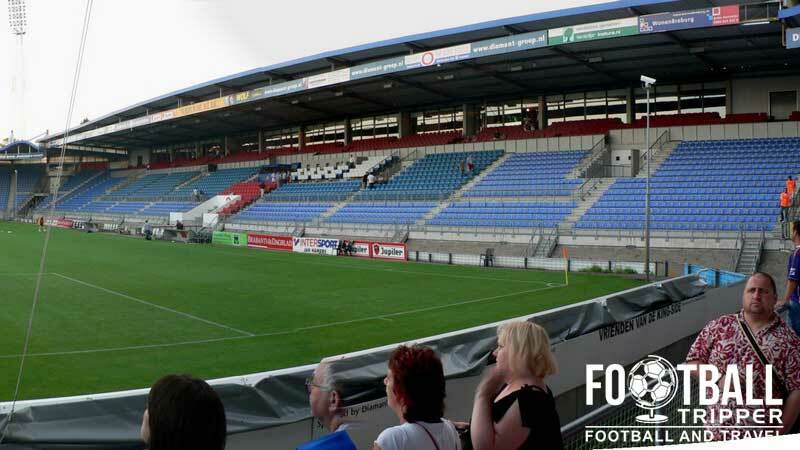 Primarily used for football matches of local side Willem II Tilburg since opening in 1995, the 14,637 capacity stadium has undergone a few renovations over the years including the addition of a restaurant and supporters bar in the year 2000. 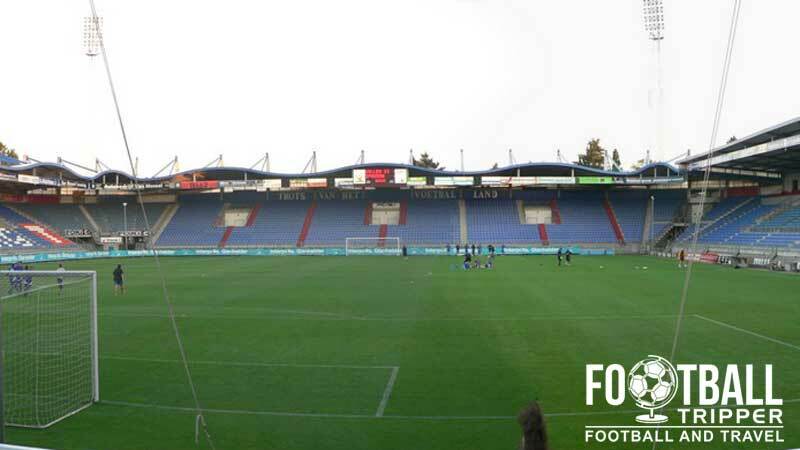 King Willem II Stadium officially opened on the 31st May 1995 in time for the start of the new season, replacing Willem II’s former ground, The Municipal Sports Park (Gemeentelijk Sportpark) which dates back to the first half of the 20th century. Located on the same site as the former stadium, construction began in 1992 and took over three years as the former ground had to be demolished and cleared. To celebrate the construction of the new stadium Netherlands national team played two friendly matches at the ground during the 1994/1995 season against Ireland and China. The construction of the new stadium helped the club attain a second place finish in 1999 behind Feyenoord granting the club automatic qualification to the group stages of the Champions League. Voted Dutch team of the year for their performance in the league, Willem II Tilburg couldn’t replicate the same form in Europe and subsequently finished bottom of their group which contained Sparta Prague, Bordeaux and Spartak Moscow. The club gradually lost its momentum and by the 2011/2012 season were relegated to the second division. As for the future of of Koning Willem II Stadion, it doesn’t appear as if any major expansion plans are in the pipe line. Keeping in line with the growing standards set across Europe during Euro 2000 Willem reconfigured the layout of the main stand to add 16 additional boxes, a restaurant, supporters café and club shop. Willem II Stadion is comprised of four stands: North, East, South and West. Away fans are housed within the north-east corner between the Kingside and the Willem II Tilburg grandstands. Separated from the home fans by a small section of metal fencing, views are generally adequate from this part of the ground although the capacity could easily be increased if the corner was properly filled in! At Koning Willem II Stadion there is the Jupilercafé D’n Beitel which serves food and drink with large television screens showing the latest football news in the build up to the match. Willem operate a a club shop at their stadium which is open during the week in addition to their official online fanshop on VoetbalShop.Nl. 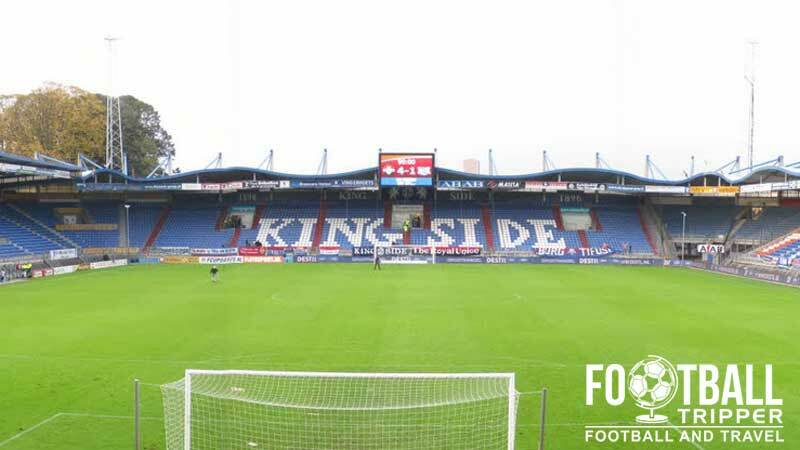 Tours of the iconic facilities are Koning Willem II Stadion are available sporadically throughout the season with the early months of the season (September-November) usually when the first tours begin. Lasting approximately 60 minutes, tours run every Wednesday at 3.00 pm for parties of up to 20 people at a bargain price of €5.00 per head. 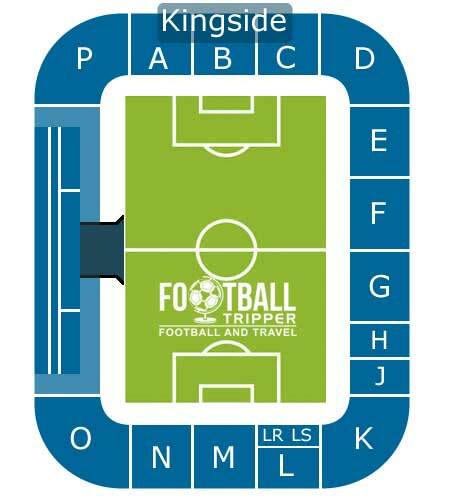 To book your place on the tour and to find out even more information then please visit this page on the official website. 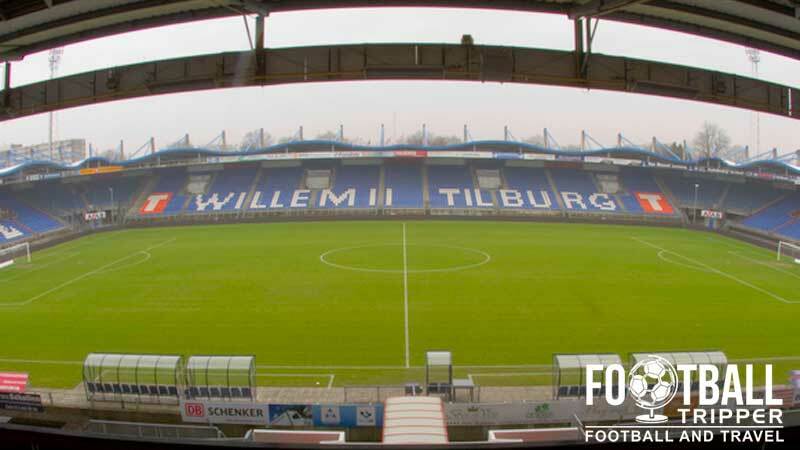 Tickets to see Willem II play at home can be purchased through the usual channels including online, from the reception of the stadium in the days leading up to the match, and from the ticket offices before kick-off providing the match hasn’t sold out. Please note that although there’s a single category of ticket prices for league matches, prices differ for cup games, play-off matches and friendly fixtures. Koning Willem II Stadion sits approximately 3.2 km south of Tilburg Centrum out of town between the Ringbaan Zuid and the E312 motorway. The journey by foot is likely to take the average Football Tripper no more than 40-45 minutes depending on levels of fitness. Although there are car parks at the stadium they are only accessible for those with a valid parking ticket which are typically only issued to season ticket holders, members of the club and playing staff. The official website of Willem advises that there is free parking to be had at “Evenemententerrein ‘t Laar” (Fairgrounds) signposted as “Laarveld Oost” (East) with this map providing a better explanation. Tilburg has three railway stations in total however Tilburg Central is regarded as the main one of the city due to its size and location. There are frequent intercity services direct to major city including The Hague, Rotterdam and Eindhoven amongst others. Upon arriving many fans choice to travel to the stadium via bus as outlined below. Alternatively you could catch a taxi for around €15.00 – €20.00 euros. On match days there are free supporter buses laid on to take you to the stadium from just outside Centrum station (Thanks Gary Peterson!). Tilburg is essentially served by Eindhoven Airport which is less than 31 km away to the south-east. If this doesn’t have any suitable flights for you then you could always try Antewerp International at a distance of 79 km and Rotterdam The Hague which is slightly further away at 93 km. Less than fifteen minutes west of the Koning Willem Stadion there is the Hotel Ibis Tilburg which is well priced option albeit out of town, and geared towards a clientèle of the local business park. Back within the centre of Tilburg around the train station area you will find a number of smaller hotels including Bed & Breakfast Gust Van Dijk, The Mercure Hotel and slightly further out the Bastion Hotel.